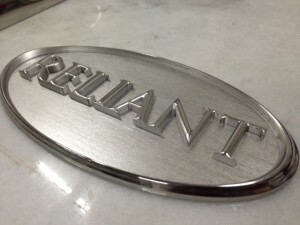 Reliant Yachts is engaged in the design and construction of modern Power, Sail and Classic yachts. Reliant Yachts Brokerage is an experienced, professionally staffed resource for locating, valuing, and negotiating the purchase and sale of the finest previously owned yachts. Reliant Marine Management provides professional marine consulting services including Private Yacht and Commercial Marine Insurance, yacht servicing, logistics, storage, refit, marine marketing and advertising. We invite you to meet with us and become familiar with our yachts, from Harbor Cruisers and Yacht Launches to our larger Power and Sailing yachts that utilize today’s advances in engineering and materials in classic and enduring proportions. Our Classic Series Yachts are a unique blend of the treasured past and elegance of the thirties expressed in modern materials and engineering advances of today. The Contemporary Series incorporates clean uncluttered form with simplicity of functional operation and maintenance. What is unique about our yachts is that no two are the same. Indeed, each of our yachts is custom built for an individual owner. When you commission the build of a new Reliant Yacht, you will know there is no other yacht like it. Commissioning the construction of a new Reliant Yacht is only the beginning of your relationship with our unique company. Our support staff will provide experienced assistance with the operation, maintenance, logistics and servicing of your yacht during your entire ownership period. We invite you to meet our people, acquire one of our yachts or utilize our services and experience our unparalleled commitment to providing a positive and enduring experience for our customers.